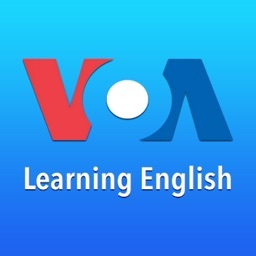 VOA Learning English is a free application for English learners. 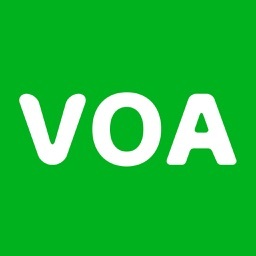 Practice your English vocabulary, listening and speaking skills with VOA Learning English now. 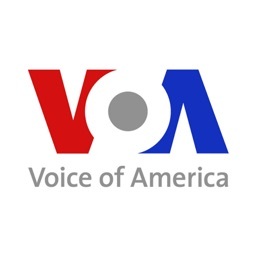 Learn American English with English language lessons from VOA (Voice of America). 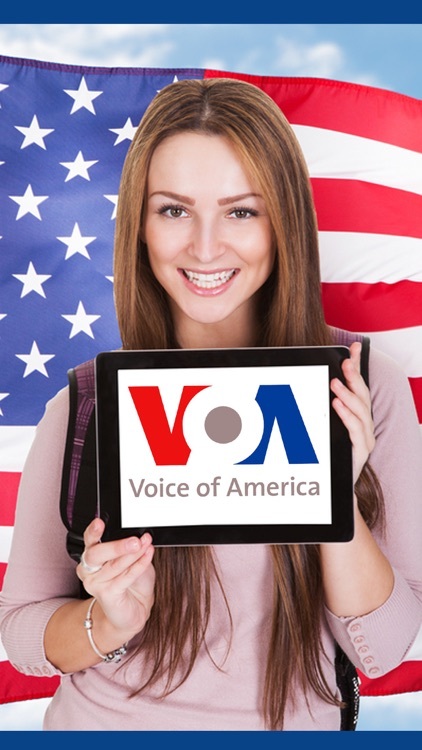 VOA Learning English helps you learn English with vocabulary, listening and comprehension lessons through daily news and interactive English learning activities. Learn English as you read and listen to news and feature stories about world events and politics. 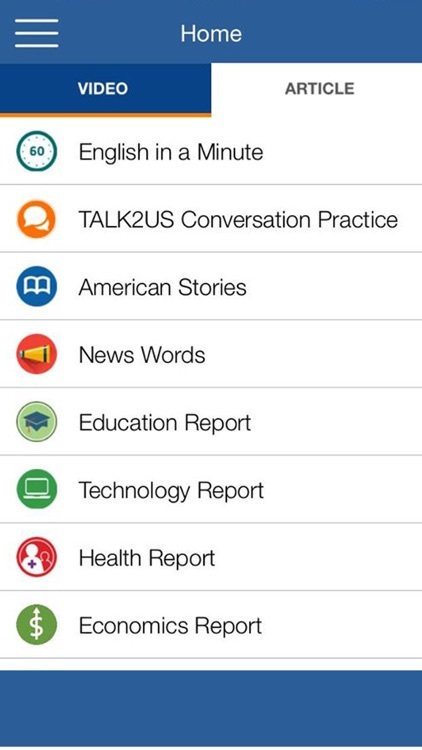 Learn English as you read and listen to news and feature stories about the U.S. and American life. Learn English as you read and listen to news and feature stories about business, finance and economics. 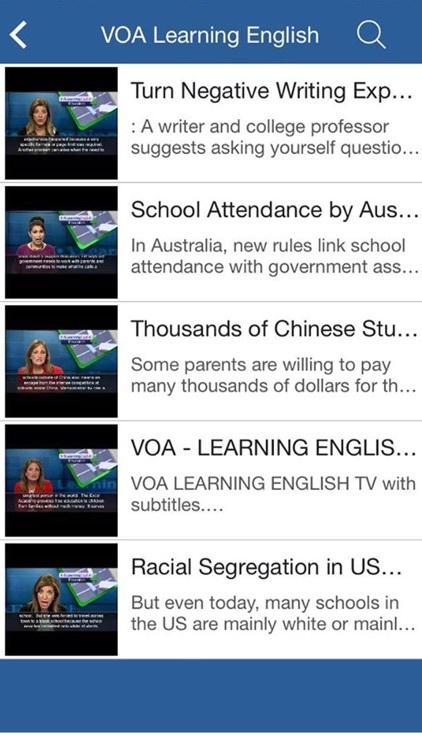 Learn English as you read and listen to news and feature stories about education and study in the U.S. Learn English as you read and listen to news and feature stories about everyday grammar, education and study in the U.S. 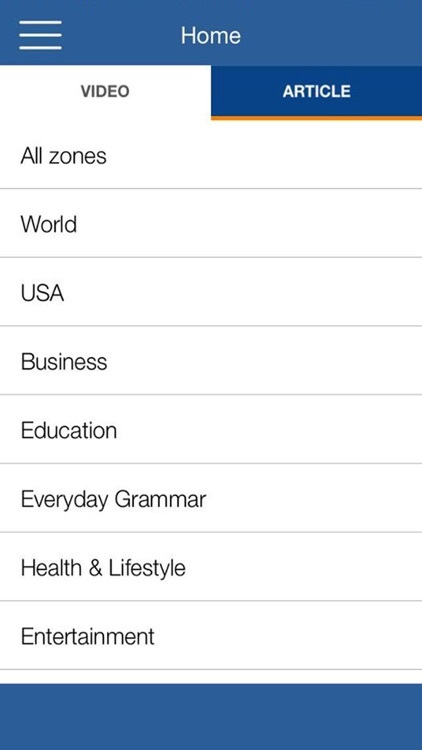 Learn English as you read and listen to news and feature stories on music, pop culture, sports and the arts. 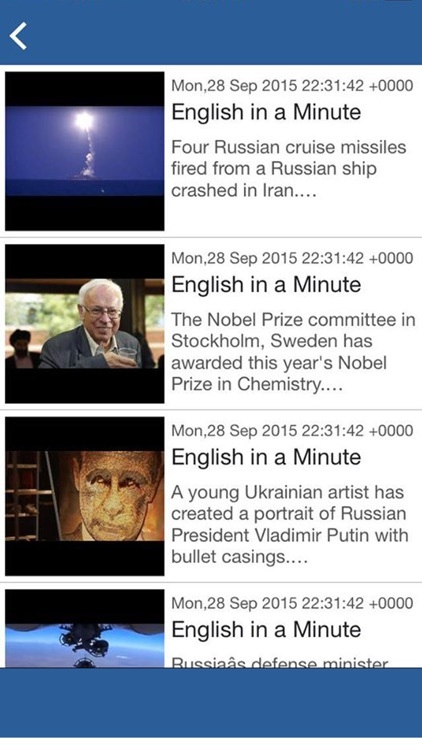 Learn English as you read and listen to news and feature stories about science and technology. Learn English as you read and listen to a weekly show about music, pop culture and American life. 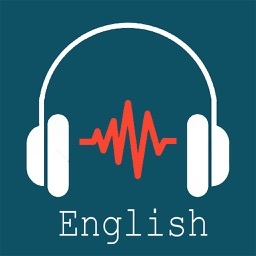 Learn English as you read and listen to a weekly show about a major story in the news. Learn English as you read and listen to our American history series. Learn English as you read and listen to a weekly show about developments in science, technology and medicine. Learn English as you read and listen to a weekly show about the United States and American life. 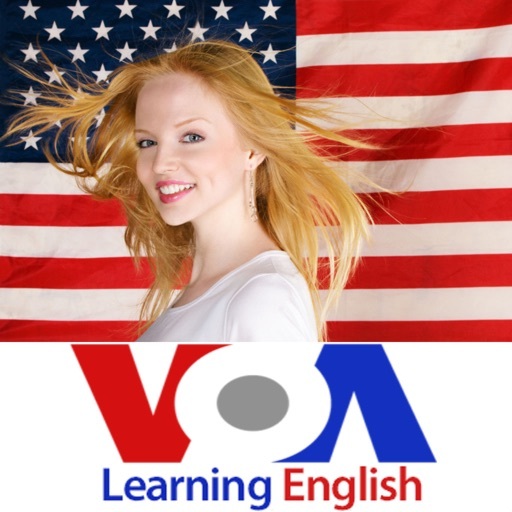 Learn English as you read and listen to a weekly show about American idioms and expressions. Learn English as you read and listen to a weekly show with short stories by famous American authors. 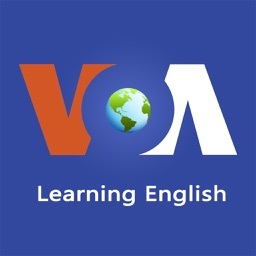 Practice English every day with VOA Special English, including reports: agriculture, economics, education, health, technology and general interest.